During the past month, Google's RankBrain has been the focus of conversation for many digital marketers and search engine optimization (SEO) experts. But what exactly is RankBrain? Will it change SEO best practices in any way? Or will it prove to be business as usual? We queried the SEO community to find out, but first, here's a primer on RankBrain. RankBrain is a relatively new component of the overall Google search engine algorithm, which, since 2013, has been called "Hummingbird." RankBrain gradually rolled out in early 2015 and has been "fully live and global for a few months now," according to Search Engine Land. However, Google didn't say anything about RankBrain, at least officially, until October 26, when BloombergBusiness ran a story about the update along with an interview of Greg Corrado, a senior research scientist at Google. RankBrain uses artificial intelligence (AI) "to embed vast amounts of written language into mathematical entities — called vectors — that the computer can understand," according to BloombergBusiness. "If RankBrain sees a word or phrase it isn't familiar with, the machine can make a guess as to what words or phrases might have a similar meaning and filter the result accordingly, making it more effective at handling never-before-seen search queries." RankBrain uses AI, so it can help Google's search engine more effectively process queries that it has not received before, which make up roughly the 15 percent of total queries each day, according to the BloombergBusiness interview with Corrado. For example, consider this ambiguous query, "What's the title of the consumer at the highest level of a food chain?" This query will receive similar search results as the much-shorter keyword phrase, "top level of the food chain." Google's answer is "predator." "Imagine that RankBrain is connecting that original long and complicated query" to the shorter one, which is something search engine users are more likely to type, says Danny Sullivan on Search Engine Land. "(RankBrain) understands that they are very similar. As a result, Google can leverage all it knows about getting answers for the more common query to help improve what it provides for the uncommon one." RankBrain handles "a very large portion" of Google queries, but not all of them, Corrado told BloombergBusiness. Its focus is to locate relevant Web content that might not contain the exact words used in a search query, especially in a "long-tail" keyword search, or a phrase that contains three or more words and is highly specific, such as "black carry-on bag with four wheels." Google tackled this job in other ways in the past, of course. RankBrain is meant to help the Google search engine algorithm "better understand future complex searches" and their relationships to specific topics, according to Search Engine Land. Machine learning will help RankBrain connect the dots between those topics and searches, and the most relevant Web content. 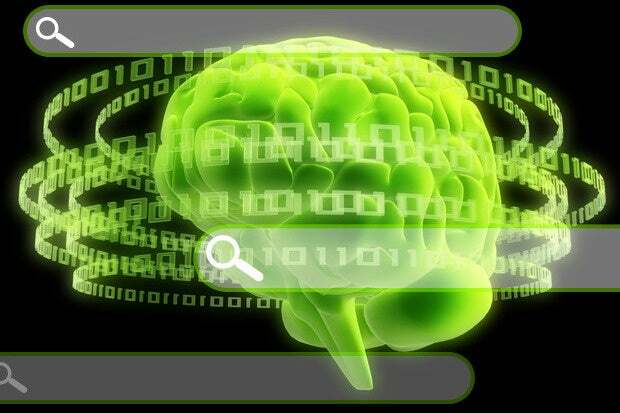 RankBrain is one of Google's roughly 200 search "signals" that collectively determine the results that match keyword searches, as well as how those results should be ranked. Since RankBrain was deployed, it's become Google's third-most important signal, Corrado told BloombergBusiness. Unfortunately, Google won't specify its two most important signals. Sullivan of Search Engine Land believes links "remain the most important signal," followed by words on Web pages. Eric Lancheres, owner of Lan Publications and a "traffic and penalty expert," also believes links still rule, but says user experience and click-through rates (CTR) are currently tied as the second most important Google ranking signals. So what do the search and marketing communities think about RankBrain? "RankBrain shouldn't be a surprise to anyone," according to Thomas Petty, president, Bay Area Search Engine Academy. "Google has been using AI for years to display context-relevant and personalized search results to all of us. This is just an extension of their effort to provide quality results to searchers. Does it affect our SEO efforts? No. Creating thoughtful and quality content is still just as critical to getting found online as it has always been." RankBrain should encourage digital marketers to continue to try to provide "relevant, robust, comprehensive, visually appealing information" that delivers what users want, says Ricky Shockley, marketing and SEO director, Shockley Marketing. "There's a decreased reliance on traditional keyword signals and a move toward better understanding the quality of a page and how well that page matches the need of the searcher. factor, which is something a human engineer at Google would never come up with. The result is that 'black hat' tactics will become more easily discoverable and even more frequently penalized." Bhuiyan says some "gray hat" SEO practices, including participation in private blog networks, will also be easier for Google to discover and then devalue or penalize violators in search rankings. On the other hand, fresh, high-quality content that may not necessarily have lots of other quality links pointing to it could potentially rank higher, he says. RankBrain shouldn't have significant effects on any site that is creating great content, according to Lancheres. "The proof is that the high quality content that was ranking a few months ago is still ranking just as well today." Thanks to RankBrain, Google now "reads" individual sentences, instead of just looking at keywords, and infers meaning from them. The search update lets Google draw relationships between words in a more advanced way than Latent Semantic Indexing (LSI), which used to be the primary way it calculated relevance on certain topics. For example, in the past Google might have interpreted a keyword phrase such as, "Whoever thought this would be a good movie should be fired," as a positive review, because of the words "good movie." "Now it will look at the surrounding context and weigh it out to know it's an overall bad review," Lancheres says. "If you're trying to manipulate your content to rank as highly as possible for competitive keywords, then you'll want to observe the relationships that RankBrain is forming and make sure to include further related terms within your copy." "In addition, because RankBrain understands sentences (meaning and sentiment), it is now very important to answer the questions being asked," he says. "For instance, when you read a keyword such as 'best toasters,' think of it as 'What are the best toasters?'" Thoroughly answering questions in your copy may help RankBrain recognize your articles as the best choices for specific keyword phrases, he says. Ultimately, the key to search-engine-rank success is no different today than it was a month ago. Marketers should "stop thinking about optimizing for algorithms and start thinking about human beings, just as they did before the Internet even existed," says Samuel Scott, director of marketing communications for log analytics software company Logz.io. Scott says marketers should optimize their websites "on a technical and on-page level so that Google can crawl, parse, and index content. Then, publish and publicize authoritative marketing collateral that will greatly interest your target audience. "The algorithm-that-now-thinks-like-a-human-being will take care of the rest."